Calcium pyrophosphate dihydrate (CPPD) crystal deposition disease is a clinically heterogeneous disorder that is characterized by the presence of intraarticu-lar CPPD crystals. CPPD crystals deposit primarily in cartilage but can traffic within the joint space. CPPD crystals form in the normally unmineralized peri-cellular matrix of articular hyaline and fibrocartilage. The most common sites of involvement are the knee meniscus, the triangular fibrocartilage of the wrist, and the glenohumeral joint. Asymptomatic disease is common in these sites as well as in others (e.g., the symphy-sis pubis). Pathologic cartilage calcification is promoted by changes in inorganic pyrophosphate (PPi) metabolism, extracellular matrix, and chondrocyte differentiation. CPPD deposition disease has a close and complex relationship with osteoarthritis. CPPD most commonly afflicts the elderly but can occur in younger patients who have a familial variant of the condition or who are afflicted with any of several metabolic diseases that predispose to CPPD deposition. 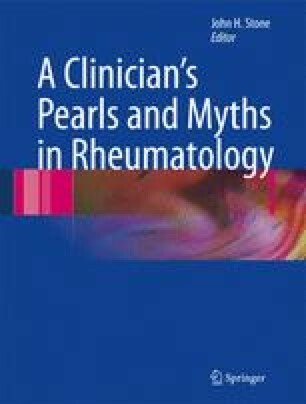 No specific evidence-based therapies for CPPD exist. However, the inflammation promoted by CPPD crystal deposition can be managed successfully in most patients through strategies typically employed for the treatment and prophylaxis of gout.